It’s been a while since I posted a Face to Face blog. I’ve actually had some face to face street photography encounters, but they have been more on the documentary side. For those not familiar with my “Face to Face” series, these posts are street photography blogs where I engage people and ultimately ask for their photograph. These would be better defined as street portraits than street photography. Most of my candid shots can be found under my “Random Street” and “Abstract Street” series. When I’m out and about, I usually come back with something to fit all categories. You just never know what you are going to encounter or who you will meet. This time I was out doing some cityscape work in downtown Columbia, Tennessee. You can see some of the work from that day in my blog post titled “Square Shots.” I was on the South side of West 7th Street just down from the Sandwich Shop shooting the Bleu32 and the Columbia Health Foods buildings. While setting up for the shot above, I noticed a gentleman carrying a bucket walking from an alley behind me. I waved at him and continued to set up my gear. He walked by me and continued up the sidewalk toward the Sandwich Shop. When I finally had everything dialed in, I captured my photo. I then heard someone inquiring about what I was doing. I turned around and it was the gentleman with the bucket. I explain to him that making pictures was my hobby. I soon learned that he was working part-time at The Sandwich Shop. He talked about how good the food was and that cook could make you anything you wanted. This was not news to me as I already knew about The Sandwich Shop’s reputation. In fact, my wife and I had a date lunch there a couple of weeks prior. The food was good and we loved the small town diner atmosphere. We continued the small talk for a while and then we finally properly introduced ourselves. 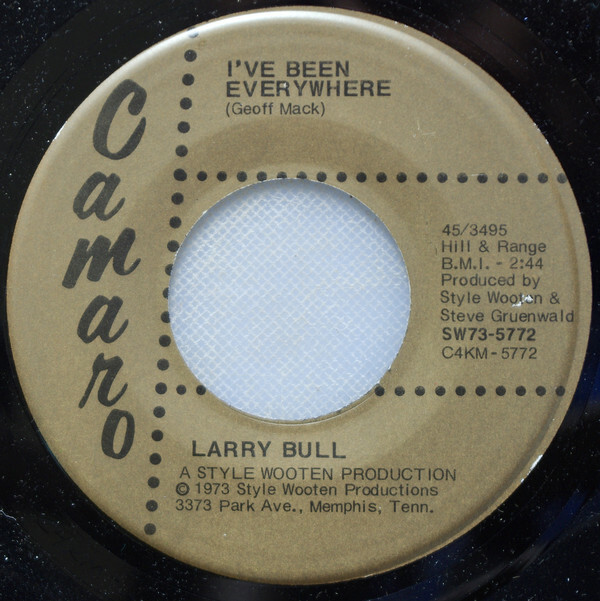 I learned I was talking to Mr. Larry Bull. Larry reminded me of that uncle or grandparent that loves to tell you stories from back in their day. You know who I’m talking about. Everyone has them in their family. There is a level of enthusiasm when these stories are told. It’s almost like the storyteller is reliving the moment. I didn’t have the patience in my younger years, but now, I look forward to those stories. I find them very interesting. It’s an opportunity to take a peek into another generation. If I am fortunate to live a long life, I will probably tell similar stories to my grandchildren, nieces and nephews. Heck, I do that now with my own children. Well, the story that Larry laid on me was interesting, indeed. Larry is a songwriter and singer. 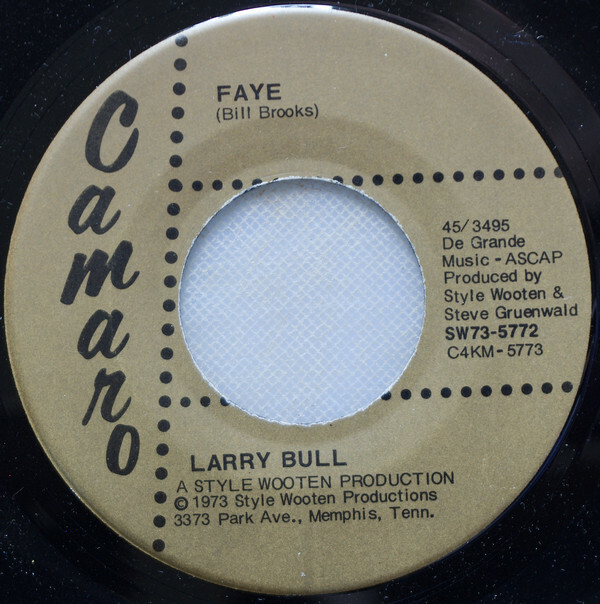 Much of Larry’s early years were centered around Nashville’s country music scene. He is a card carrying member of ASCAP, American Society of Composers, Authors and Publishers. After pulling out the ASCAP card from his wallet, he pulled out another piece of paper. He unfolded the paper to reveal a list of record companies, songs and performances. It appears Larry also performed with other singers and bands, too. I research some of these record labels and as you would expect, some no longer exist. Some of the people listed are deceased. However, I did find images of a couple of Larry’s records. I can’t be completely sure that the following video is the voice of Larry Bull, but I believe there’s a good chance that it is. If you go back and look at the of list record companies and performances, you will notice the song “A New World” in the bottom right corner of the sheet. Larry also pulled out another piece of paper. This bit of information gave me a glimpse of a younger Mr. Bull. Larry continued talking about his music career and other stories from his past. He told me about song ideas that were stolen from him that later became published works. One of the more interesting things Larry told me was that he attended the same High School as President Ronald Reagan. I could have listen to Larry for hours, but he had to get back to work. Before we parted, I asked Larry for his photograph. I find meeting people like Larry refreshing. I don’t know whether its me or something else, but strangers tend to open up to me. Maybe my camera is disarming or maybe they just want to talk to someone that will listen. Whatever it is, I look forward to meeting more strangers and learning about their lives and their perspective. Thanks for reading and stayed tuned for my next street photography adventure! This entry was posted in Black & White, Cityscape, Film, People, Street and tagged Black and White, Columbia, Maury County, Olympus OM Zuiko 50mm f1.8, Olympus OM1, Street Photography, Tennessee.